Stored Solar wants to build the nation's first shrimp farm at a biomass plant, but owes money and has had trouble launching other initiatives. The owner of a wood-fired power plant in West Enfield is set to receive a $500,000 state-backed loan to build three shrimp farms on the property despite allegations that it owes hundreds of thousands of dollars to wood suppliers and contractors and has failed to pay last year’s $90,000 tax bill in Jonesboro, where it owns a second plant. The Maine Rural Development Authority has conditionally approved the loan for Katahdin Shrimp Farm LCC, which is solely owned by Stored Solar West Enfield LLC. The money would help finance a novel plan aimed at making the biomass plant – an aging but important component of Maine’s forest economy – profitable. Stored Solar has struggled to make its two biomass power plants profitable since taking them over last year. The company is falling well short of performance benchmarks set by the Public Utilities Commission that determine how much of a Legislature-approved subsidy it receives. In the first six months of the year, Stored Solar produced only half as much power, purchased 31 percent of the wood fuel and invested 44.8 percent of the capital improvement money it had planned, PUC documents show. Stored Solar also owes about $500,000 to wood suppliers and truckers, according to the Professional Logging Contractors of Maine. Stored Solar also hasn’t paid its 2016 tax bill in Jonesboro, which was due June 30. The Washington County town has since placed a lien on the building and land, and is trying to do the same for equipment and machinery, said Wendy Schoppee, Jonesboro’s tax collector. In a related matter, the Finance Authority of Maine has received an application to guarantee 90 percent of a maximum $5 million loan to Stored Solar for improvements at the West Enfield plant from an investment fund that targets economically depressed areas, Arctaris Royalty Ventures Co-Investment LP. The finance authority’s board is expected to consider the request at an upcoming monthly meeting. Together, the two requests represent roughly $5.3 million in taxpayer-backed financing. A spokesman for the rural development authority, Doug Ray, said the $500,000 loan is pending and he didn’t know when it would close. Chris Roney, the general counsel for the finance authority, which services the development authority, said his agency does the background work and loan underwriting, but that the due diligence it performs is confidential. He declined to discuss Stored Solar’s financial record and its bearing on the loan. “We don’t want to penalize the people borrowing from us by telling the world and their competitors what their plans are,” Roney said. Bill Harrington, Stored Solar’s vice president, declined last week to discuss either matter and said his company would have no comments to the media at this time. “We’re trying to run a business,” he said. If the farms are built, they would be the first such operations linked to a biomass power plant in the United States, according to the Biomass Power Association, a trade group. News that a Maine biomass power plant could host an aquaculture operation is significant for other reasons. Stand-alone biomass plants such as the ones in West Enfield and Jonesboro are important to the state’s beleaguered forest industry because they provide jobs for hundreds of loggers and truckers, and offer a way to derive economic benefit from the disposal of sawdust and bark from sawmills. But low wholesale power costs in New England and other factors have made it difficult for the plants to make money. The situation became so dire last year that the Legislature approved a $13.4 million state subsidy to prop up four plants for two years, including the two owned by Stored Solar, while their owners sought strategies to make them profitable. One idea is to site businesses next to the power plants that can use heat and carbon dioxide. The power plants could increase revenue by selling the thermal energy, which now escapes into the atmosphere through the stack. At an energy forum last spring, Harrington mentioned that Stored Solar was talking to a shrimp farm venture. He referenced tentative plans for an experienced shrimp farmer who could produce 10,000 pounds a year in tanks located in covered buildings, using the power plant’s heat. At the time, Harrington also raised the possibility of greenhouses. He later confirmed to the Press Herald that Stored Solar was negotiating with Nature Fresh Farms of Leamington, Ontario, to erect 60 acres of greenhouses to grow peppers. Nature Fresh has a similar greenhouse that grows tomatoes next to a steel factory in Ohio. Nature Fresh didn’t respond to a recent inquiry about whether that project remains on track. The shrimp farm and greenhouses are part of a broad vision by Stored Solar and its principals to use languishing paper mill sites to jump-start a bioeconomy producing fuel, food and other products made from wood. The company has proposed a $240 million biorefinery for a mill site in East Millinocket, but the project has been halted by a legal dispute. According to a summary provided to the Press Herald by Roney, the $500,000 loan is for the design, engineering and construction of three shrimp farm buildings next to the West Enfield plant. The five-year loan has a 4 percent interest rate and would be secured by real estate and other business assets, as well as a guarantee of a related company, Capergy US LLC. Capergy’s chief executive, Fahim Samaha, is a partner in Stored Solar and is listed on the Maine Rural Development Authority loan as a principal in Katahdin Shrimp Farm, according to the Finance Authority of Maine. The rural development authority was created by the Legislature to provide financial assistance to communities and their development partners, with a focus on economically distressed, rural parts of the state. It helps to develop speculative and underused commercial and industrial properties and is overseen by a board that includes the Department of Economic and Community Development and the finance authority. The loan guarantee, up to $5 million, is being sought by Boston-based Arctaris. The loan would be used for capital improvements, wood-fuel purchases and working capital at West Enfield. The lender is seeking a 90 percent loan guarantee from the finance authority that would be secured by a lien on real estate and other business assets, as well as a guarantee from Stored Solar LLC. 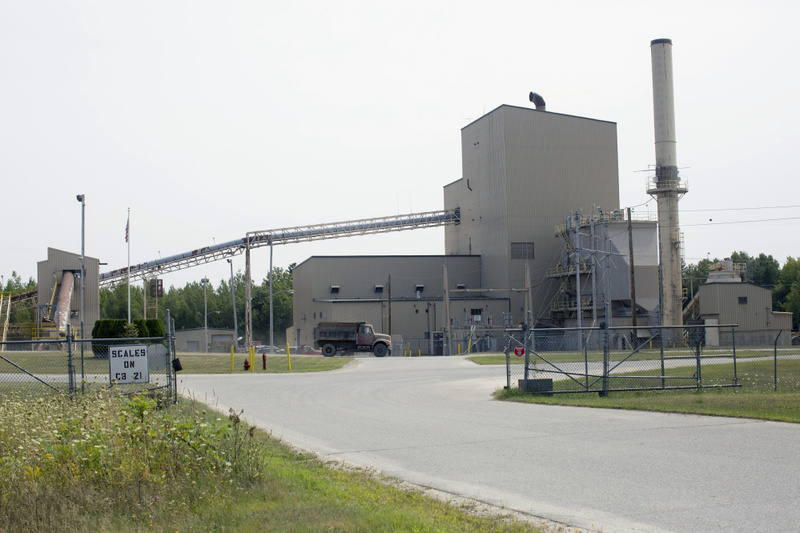 These developments are encouraging signs for Maine’s forest products industry, which is looking for new markets and products following the closure of five paper mills in three years. But Stored Solar’s track record raises questions about the company’s ability to successfully carry out its plan and repay loans. The head of the Professional Logging Contractors of Maine, Dana Doran, estimates that members of his group are owed $500,000 by Stored Solar. Doran said the figure fluctuates, as some bills are paid over time, but the total remained in the half-million range in mid-September. Doran declined to specifically comment on Stored Solar’s plans for West Enfield. But George Moon, a logging contractor in Hancock who owns T.J. Timber Products, said Stored Solar had owed him $47,000 when he stopped delivering to the Jonesboro plant earlier this year. Moon said Stored Solar recently sent him some of what it owes, but also has been trying to re-negotiate the debt. Moon said his lawyer advised him to reject partial payment, pending legal action. At least one debt already has led to legal action. In August, Fastco Corp. of Lincoln filed a complaint against Stored Solar for nearly $34,000 in services and materials at the West Enfield plant. A lien, filed in July, is recorded in the Penobscot County Registry of Deeds. If the loan is approved and shrimp farms built, it’s still an open question as to whether they would create enough revenue for Stored Solar to operate the West Enfield plant profitably. Bob Cleaves, president of the Biomass Power Association, said members of his trade group have been trying for years to co-locate businesses. While not commenting directly on Stored Solar, Cleaves said revenue from waste heat may not be enough to make a plant profitable, compared to selling electricity directly to an adjacent tenant.